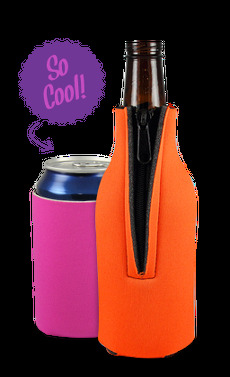 This stunning full color bottle coolie will keep drinks colder longer no matter if the full bottle sleeve or the full zippered option. With our full color printing in complete coolie coverage, design your new coolie unique from the competition to capture the attention at your next event. Your new custom coolie with stunning color design is lightweight and manufactured using high quality durable material to wrap around a 12 oz bottle.